Welcome to the fourth issue of For A Better World. 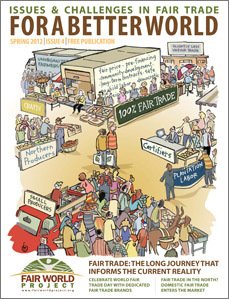 Fair trade is at a critical crossroads and this edition’s cover reflects the challenges and opportunities in the fair trade movement and marketplace. 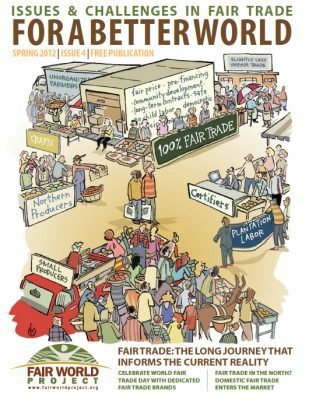 Small farmers, large corporations, certifiers, cooperatives, Alternative Trading Organizations (ATOs), Non-Governmental Organizations (NGOs), student groups and other fair trade stakeholders are trying and vying to define and redefine fair trade.